INCOME PRODUCING PROPERTY/OWNER FINANCING AVAILABLE. HUGE PRICE REDUCTION. 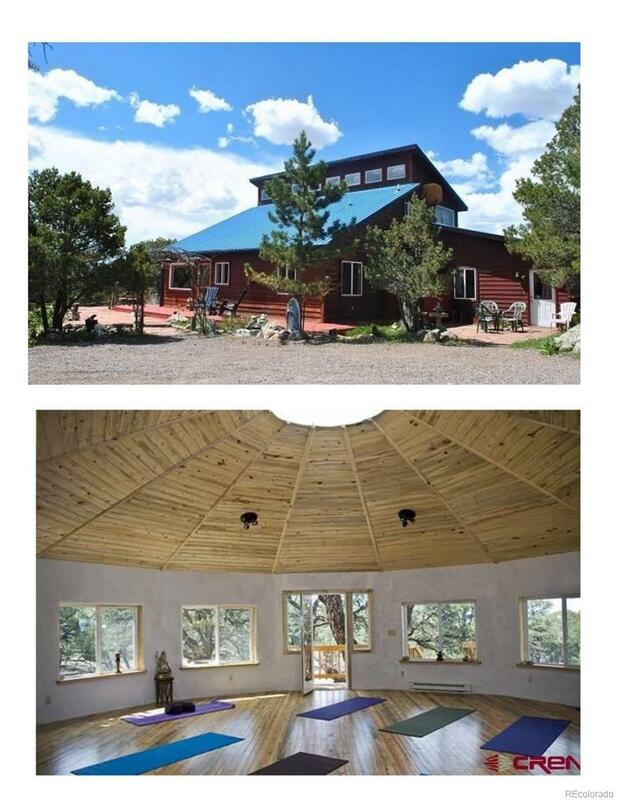 This is a really special property with Lots of options for producing income as well as being a wonderful home. 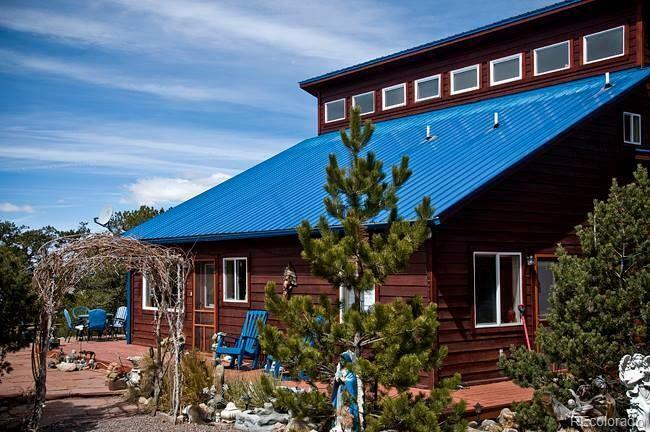 Nestled in the trees at the foot of the Mountains overlooking the San Luis Valley. Totally secluded with wonderful views & a huge fenced vegetable garden. 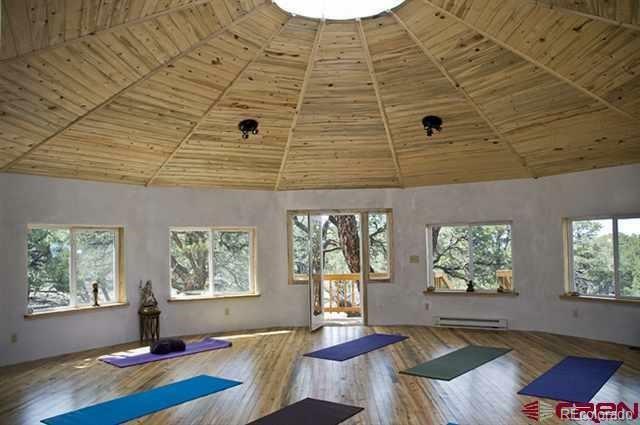 The SACRED SPACE built to Sacred Geometry is a SEPARATE BUILDING on the property/ ideal for Yoga/ Teachings/ Events/Weddings/Ceremonies/Recordings/Videos/Classes. The acoustics are amazing.STUDIO COTTAGE attached to the main house. Private Entrance/Bathroom/Kitchen/Patio of its own. 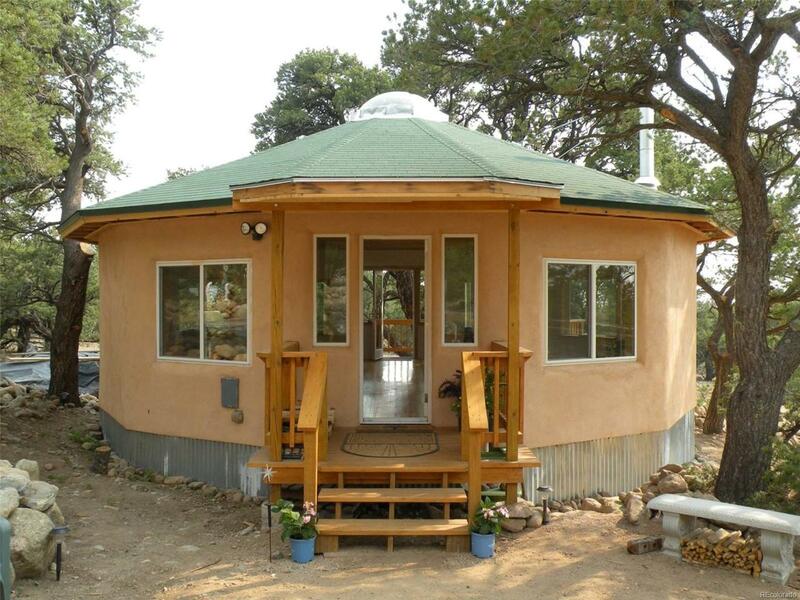 It rents for $850 monthly /Granny Flat or for B&B.TWO QUEEN ROOMS IN THE MAIN HOUSE. These rent for $75 nightly for the past 14yrs. The Entire Upstairs is a large area with its own bathroom, wrap around balcony & amazing views of the Mountains & Valley. I rent this as the Luxury Suite which rents for $120 nightly.